Enjoy the top 22 famous quotes, sayings and quotations by Aaron Spelling. We do 32 episodes a season and will have shot 267 episodes by the end of the ninth season ... It's impossible to sell that many episodes in the foreign market. 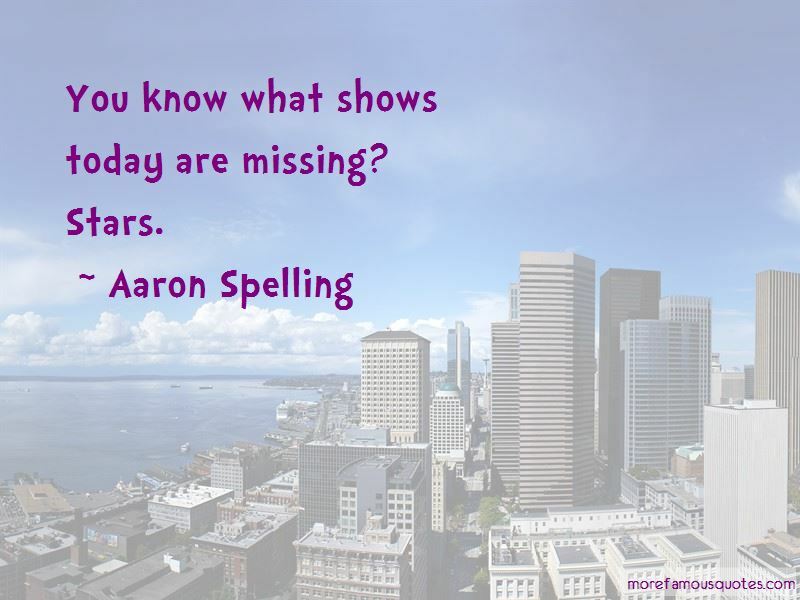 Want to see more pictures of Aaron Spelling quotes? Click on image of Aaron Spelling quotes to view full size.